It was clear to Actress Sarah Chalke in late 2011 that her 15-month-old son was sick. But his constellation of symptoms – a full body rash, persistent fever, aching joints, red lips, vomiting, and dehydration – stubbornly defied official medical diagnosis. What he had was Kawasaki disease (KD), a largely mysterious condition that can result in permanent damage to blood vessels and is the most common cause of acquired heart disease in children. “The website kdfoundation.org helped save his life,” Chalke said. “It clearly listed the symptoms and my son had all of them. We went to his pediatrician almost every day for the next nine days, and the ER on day four, and everyone said it was not Kawasaki’s. It was the KD website that I would visit every day and where I would read the symptoms and other parent’s stories that encouraged me to keep pushing to see an infectious disease doctor. The experience left a lasting mark. Chalke was alarmed by how little was known about KD, how hard it was to diagnose quickly and accurately and by the potential for future harm. An estimated 25 percent of children with KD develop coronary artery aneurysms – balloon-like bulges of heart vessels – that may eventually result in heart attacks, congestive heart failure or sudden death. 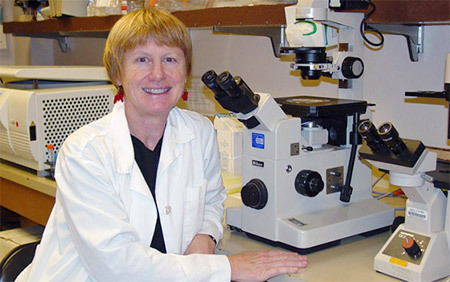 As a result, Chalke has become a vocal and public advocate for Kawasaki disease research and treatment, most notably of efforts by Dr. Jane C. Burns, professor and director of the Kawasaki Disease Research Center at UC San Diego School of Medicine and Rady Children’s Hospital-San Diego, and colleagues to develop an effective diagnostic test and to better understand how the disease is caused and spread. “We were hoping to reach a wide audience and, through a dramatic story, talk about and show the visual symptoms of KD,” she said. She urges parents to advocate for their children. If your child has had a fever for at least five days with two or more of the following symptoms: bloodshot eyes, body rash, red palms and soles, swollen hands and feet, red and cracked lips, strawberry tongue, swollen lymph node in neck. An international team of scientists, including researchers at the UC San Diego School of Medicine and Scripps Institution of Oceanography, report that the likely cause of Kawasaki disease in Japan is a windborne agent originating from northeast China, a region characterized by dense cereal croplands. Kawasaki disease (KD) is the most common cause of acquired heart disease in children, most notably in Japan, though incidence rates are also rising in the United States and Western Europe. For decades, it has stubbornly resisted scientific explanation. The disease is difficult to diagnose and, without treatment, 25 percent of children with the condition develop coronary artery aneurysms – balloon-like bulges of heart vessels – that may eventually result in heart attacks, congestive heart failure or sudden death. Prevalence rates of KD are rising among children in Asia, the United States and Western Europe. Predictive models estimate that by 2020 one in every 1,600 adults in the U.S. will be affected by the disease. First described in Japan in 1967 and named after its discoverer, Dr. Tomisaku Kawasaki, the cause of KD has eluded two generations of researchers. Dr. Jane C. Burns, professor and director of the Kawasaki Disease Research Center at the UC San Diego School of Medicine and Rady Children’s Hospital-San Diego, assembled an international team to help decipher the distinct seasonality of this devastating childhood illness. Noting that the timing of KD outbreaks in Japan coincides with certain wind patterns from Asia, climate scientist Xavier Rodó and colleagues at the Catalan Institution for Research and Advanced Studies and the Catalan Institute of Climate Sciences, both in Barcelona, used computer models to simulate air currents and airborne particle transport for all days since 1977 with high numbers of KD cases in Japan, based on data compiled by Dr. Yoshikazu Nakamura and colleagues at Jichi Medical University in Japan. The modeling indicated that KD cases in many Japanese locations, both in and out of epidemic years, peaked only when winds originated from a densely-cultivated region in northeastern China characterized by vast cereal croplands. In 2011, the Barcelona researchers equipped an aircraft based in Japan with a newly designed large-volume air-filtering device to collect aerosol samples. With help from Hiroshi Tanimoto and colleagues at the National Institute of Environmental Science in Tsukuba, Japan, the plane sampled at altitudes between two and three kilometers above Japan to avoid surface contaminants, and on days during the KD season when air currents originated only from northeastern China. 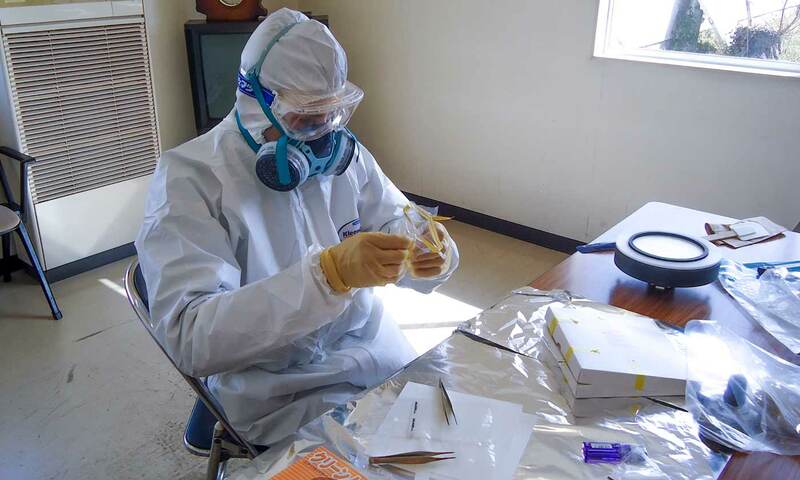 Detailed microbiome analyses of the samples by Brent Williams and Dr. Ian Lipkinat Columbia University in New York City identified Candida species as the dominant airborne fungus, a finding not previously reported from other aerosol sampling campaigns in other regions of the globe. Candida is a genus of yeasts and the most common cause of diverse human fungal infections worldwide. In their new PNAS paper, the multidisciplinary team of Rodó, Burns, Dan Cayan, a climate researcher at UC San Diego’s Scripps Institution of Oceanography and co-authors in New York, Barcelona and Japan, say the new evidence suggests that the most likely cause of KD is a “preformed toxin or molecule” originating from northeastern China, possibly related to Candida, which has been linked to Kawasaki-like coronary artery vasculitis in mouse models. 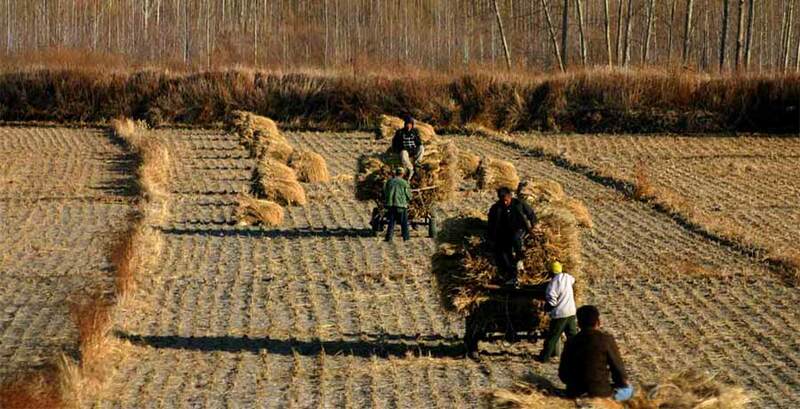 Prevailing wind patterns associated with KD cases in Japan track back to northeastern China, which is the country’s main cereal grain-growing region. Burns said rising KD cases elsewhere in the world, notably in the Philippines and India, may involve the same agent originating from different source regions. She said the findings have broader implications as well.